The Boston Convention and Exhibition Center is expanding, and with that, the area around it, known as the D street Corridor, is being transformed into a more active, mixed use, urban center. 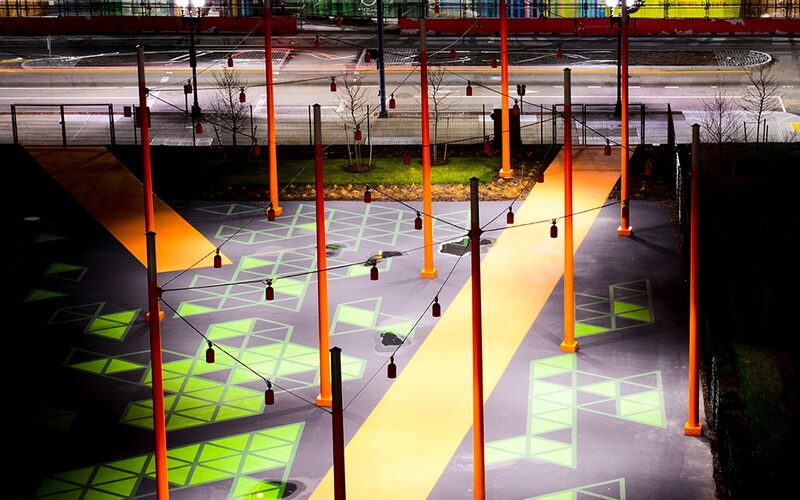 The goal of the transformation of the space is to bring more activity, attention and utilization to the area from Boston residents, while accommodating the needs of convention-goers. 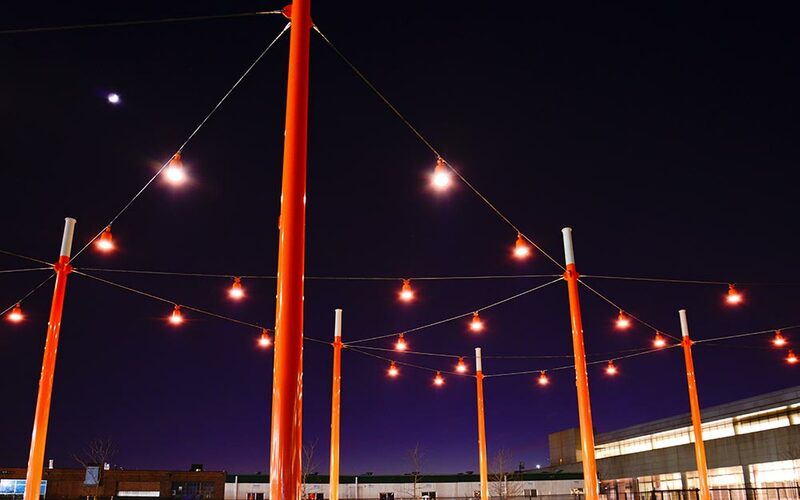 Lighting can distinctly define an outdoor space. 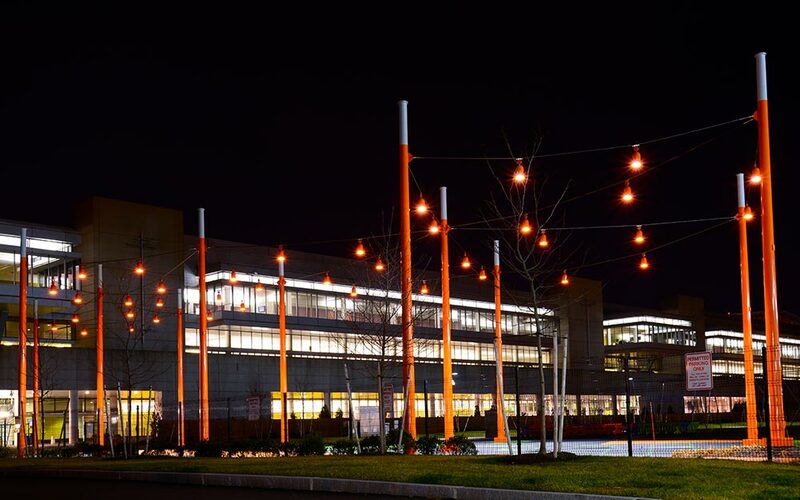 The catenary lighting installation at the D Street Corridor in Boston, Massachusetts, helps draw attention to the pedestrian connection between the Boston Convention and Exhibition Center (BCEC) and the surrounding neighborhood and businesses. 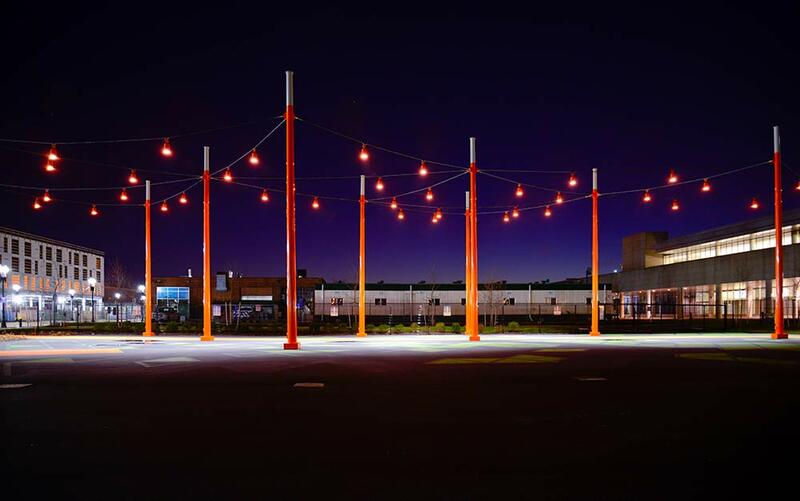 The catenary lighting system is a key component to achieving the goal of creating a highly usable, open and inviting, community space, to attract both residents and convention visitors. The space needed to be flexible in order to accommodate a variety of different uses and attractions, such as tents, food truck use, concerts, movies and more. With different options for future use, a system of suspended luminaires is the perfect design solution for keeping the space open and minimizing obstructions. 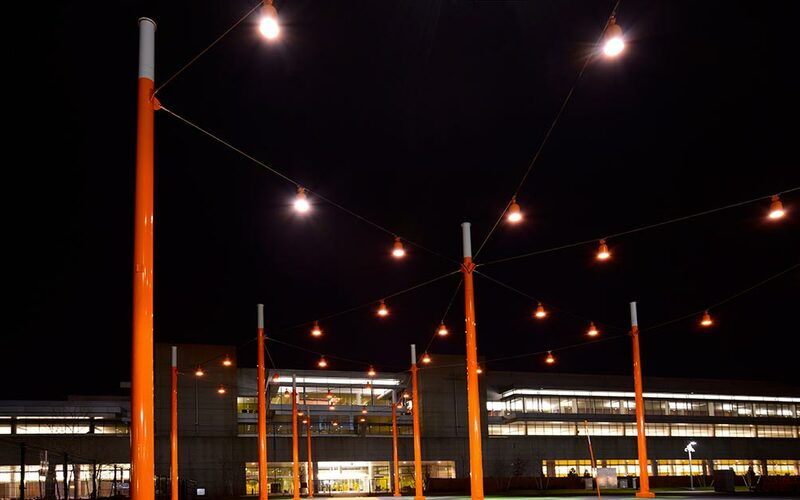 Light fixtures are suspended using tension cables and specific ground spots can be illuminated with a high degree of accuracy. The cable system is light-weight, which allows for easy installation and adjustment in the field. 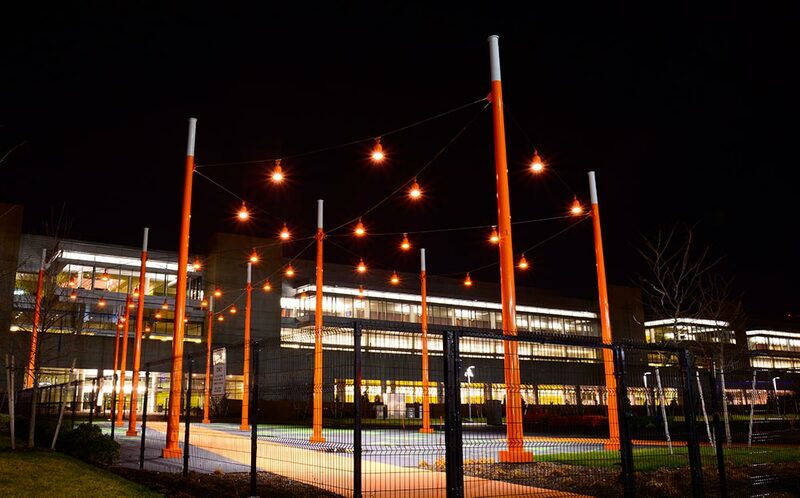 Ronstan Tensile Architecture was specified by Sasaki Associates of Cambridge, MA, and selected to supply the cable assemblies for this lighting system. 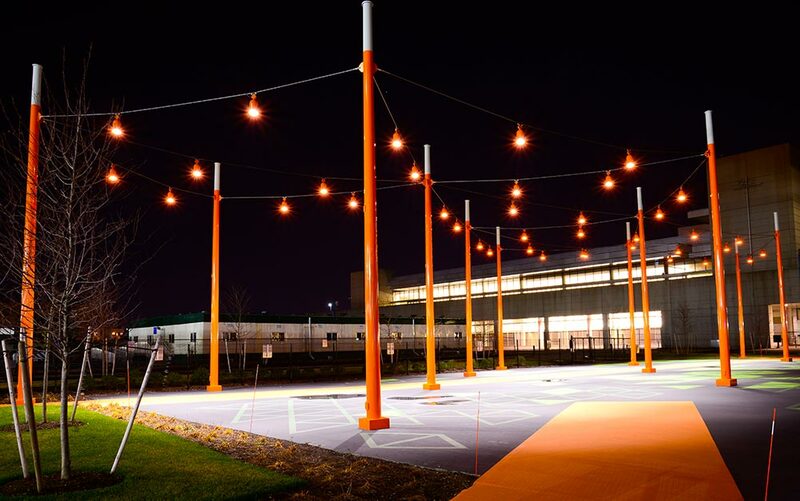 Ronstan Tensile Architecture’s Matt Berrelli worked closely with Cullen Electric of Marshfield, MA, to deliver the project on time and on budget. The luminaires were delivered by Valmont. 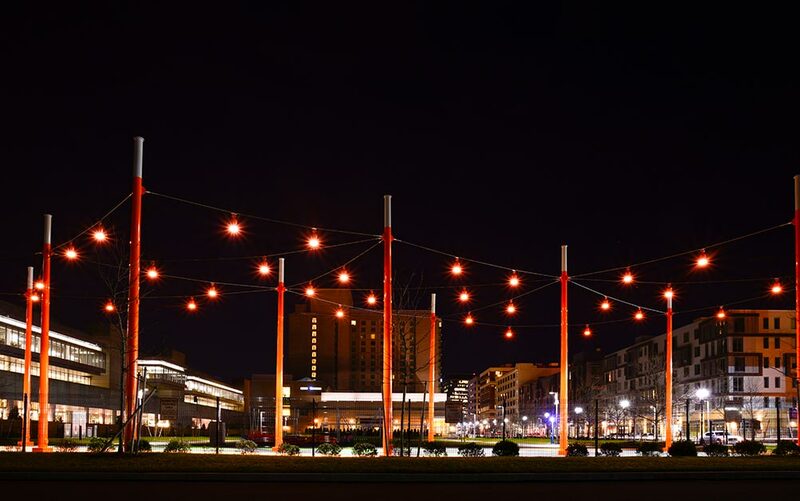 Inquire with us to find out how our experience can help make your next catenary lighting design a reality.